It’s easy to get into trouble with credit cards, especially these days. Contrary to popular opinion, it does not mean that someone has been bad or irresponsible. 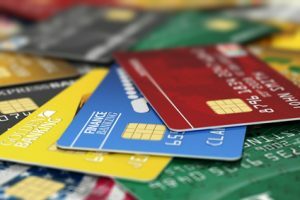 Yes, there are those who shop beyond their means and spend carelessly, but these days, more often than not, credit cards are used as a last resort to pay for unavoidable emergency expenses. The good news is that, if you are in a situation like this and owe $30,000 or more on unsecured debts, there is a legal professional who can get you credit card help in Denver and the surrounding metro areas. Unlike many of the fly-by-night debt relief firms that proliferated in the past several years when there was virtually no regulation of the industry, Trident Debt Solutions is owned and operated by an experienced debt attorney with more than 20 years of bankruptcy and debt-settlement experience. Needless to say, people who have relied on other less reputable firms have received poor quality help and have been left off worse off than before – because too many of these firms were little more than scam operations intended to make quick money on vulnerable clients. Stephen T. Craig is a licensed, experienced bankruptcy attorney who is trained and well versed in the law as it relates to debt relief. He has been recognized as one of the leading experts in this field and his firm has been one of the very few debt settlement companies to receive approval from the Better Business Bureau – an exhaustive process that involves undergoing an extensive investigation, full disclosure and testimony from clients. What Types of Help Does Trident Debt Solutions Provide? Clients who have incurred $30,000 or more in unsecured debt and come to Trident Debt Solutions can expect personal attention from Mr. Craig. Trident is a small firm with a select clientele, which allows Mr. Craig to give each of his clients personalized attention. Trident is not a credit-counseling firm. As an attorney, he is in the best position to negotiate a favorable settlement with a client’s creditors that will enable debts to be eliminated in as little as eighteen months – for approximately 65-50% of the total. Credit Card help is available to clients who meet the following criteria. If you feel you can benefit from Trident Debt Solutions credit card help services, call us today. Individuals who need assistance with unsecured debt should contact or Stephen T. Craig at 303-872-8492 today to learn about all of their options. If we cannot help in your situation, Mr. Craig will be happy to discuss other options that may offer an alternative to bankruptcy.